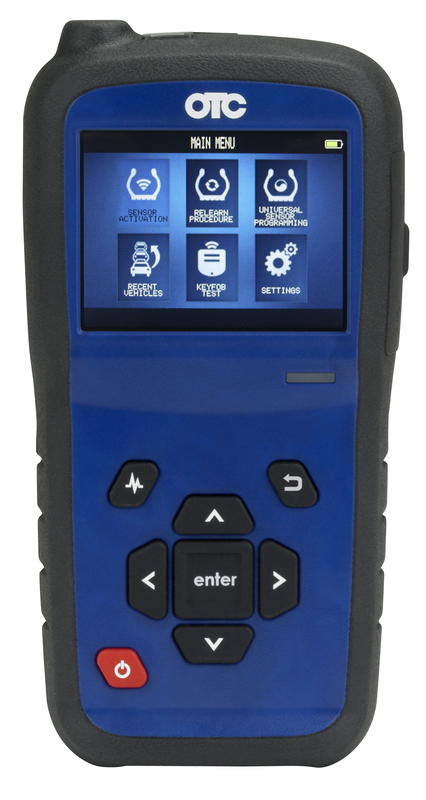 Unique in its space, the all new 3838 TPMS tool is both a sensor activation and diagnostic device which couples On-Board Diagnostic (OBD) II relearn capabilities all in one compact and portable housing. It offers coverage for most vehicles sold in the United States with the ability to relearn and reprogram existing or new replacement sensors. 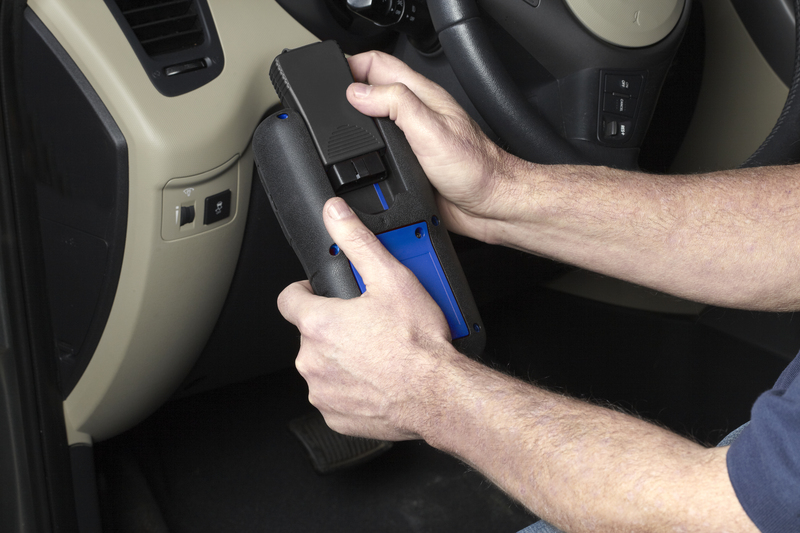 An industry first, the 3838 features an exclusive wireless OBD II module for TPMS sensor registration. The new device hallmarks a 3.5" high resolution icon based screen for easy navigation of key menus including sensor activation, relearn procedures, universal sensor programming and Key Fob Signal Strength test. Other standard features include USB & SD card connectivity and Infrared (IR) printing. Tire Pressure Monitoring System (TPMS) devices ensure tires and vehicles are operated safely under the recommended factory conditions. An underinflated tire could pose potential risks to a driver and other motorists. As of 2008, all new vehicles sold in the United States are required to have TPMS systems. 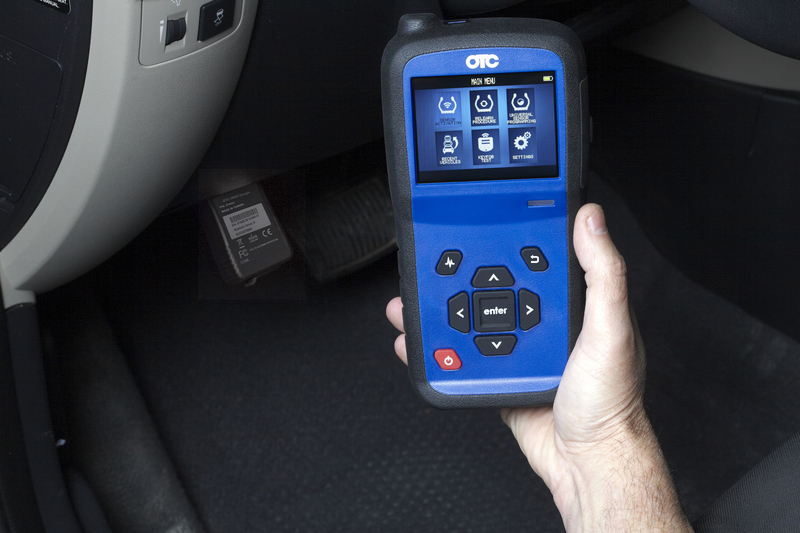 The proliferation of TPMS systems in new vehicles is driving demand for workshops and garages to purchase TPMS tools. In addition, the lithium battery in most TPMS sensors typically have a 10 year shelf life - driving pent-up demand for replacements after a decade. 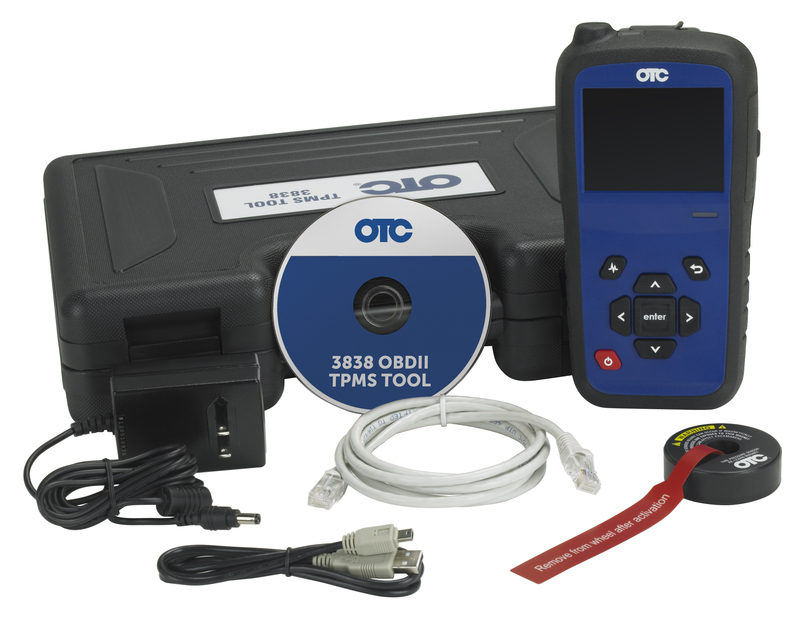 Click the following link to download the latest software updates for your OTC 3838 TPMS tool.